In the late 1970s, maps were primarily printed on paper and definitely didn't have the ability to point you toward any nearby restaurants or tell you what traffic conditions to expect on the drive home. Back then, work to develop the earliest Geographic Information Systems (GIS) was well under way, but the technology wasn't widely in use in 1977. According to a Newsbeat article — ADOT's employee newsletter of the day — the low-tech map was made by piecing together multiple sections of a state atlas. Each of the 30 charts displayed a 400-sq.-mi. area. They also were covered with clear acetate and marked up to identify state highways. James Pfalzer, ADOT travel and facilities section manager, is quoted in the story describing the large map's purpose and explaining how the information obtained from studying the map would later be coded into a computer to log statewide traffic volume statistics. 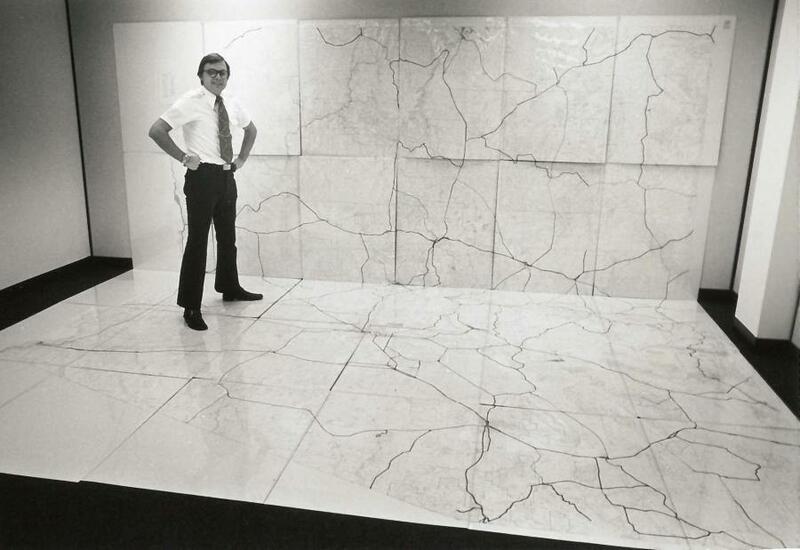 It's safe to say modern mapping technology has come a long way in the last 40 years. Advances in the GIS field have expanded the usefulness of maps and changed the way ADOT is able to manage and analyze information. GIS stores data and gives users the ability to present it onto different layers of a map. It's especially useful when comparing and analyzing different sets of information, whether someone is looking for the closest shopping center or prioritizing state transportation projects. James Meyer, ADOT data analytics section manager, said that through its use of GIS, ADOT is able to get much more value from its data. ADOT uses the tech to create maps of the state's highway system that display everything from traffic volume and demographic data to pavement quality and capacity. The agency also works in partnership with other agencies, sharing data back and forth with the State Land Department and other state offices. While some might take maps for granted, Meyer said he hopes that people realize the value of all that data behind those maps and products they use every day. “Sometimes it's hard to see problems in the data if you don't see it on a map,” Meyer said. For a look at some of ADOT's modern maps, visit azdot.gov/maps.